State College police have identified the two suspects wanted for State Patty's Day at least seven burglaries. The suspects are a 22-year-old Geneva College student and 23-year-old University of Pittsburgh student. Police did not release the suspects' identities as authorities do not expect to file formal charges until April. Police say the suspects were staying with someone in the borough and were in town specifically for State Patty's Day - a Penn State student created event that promotes binge drinking. 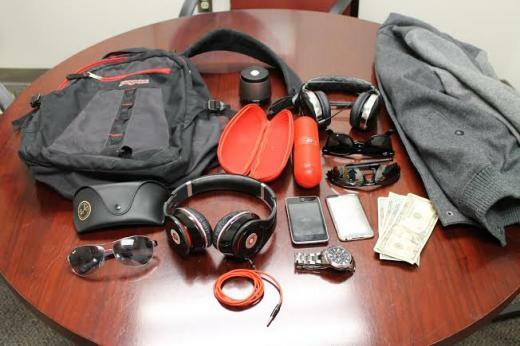 Authorities also released a photo Friday featuring some of the recovered stolen property, which includes sunglasses, electronics and clothing. Police have recovered items worth more than $1,000 in total. The investigation is ongoing. Authorities released surveillance video and still images to the news media over the last several days hoping the public could help identify the two males believed to be responsible for the burglaries that occurred overnight between March 1 and March 2. 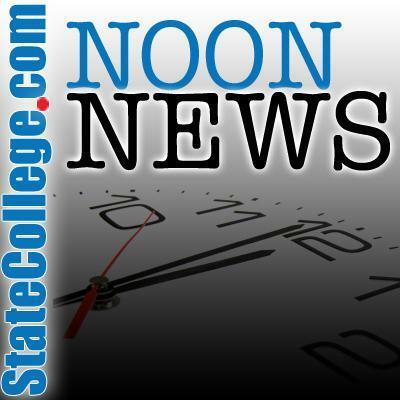 Investigators pulled the images from surveillance video at the Meridian II apartment building in the 600 block of East College Avenue and University Towers in the 400 block of East College Avenue, which police say clearly links the suspects to the crimes. Police say surveillance video shows the two suspects entering roughly a dozen apartments during a fire alarm at Meridian II. Since then, at least two victims from the Meridian have reported burglaries to police and at least one victim at University Towers has reported stolen items. The surveillance images went "viral," a resident outside the area recognized the suspect and then tipped off police, according to State College Police Lt. Keith Robb. Robb says this case shows how a combination of technology - surveillance video, cell phone technology, social media - along with the news media can help solve cases. "That's how we're going to keep this town safe and solve crime," Robb says. Robb says the suspects also saw the images and knew police were searching for them. "They knew they were under investigation because they saw themselves on video," Robb says. Authorities have been using that footage to work backwards and identify victims. So far, police have enough evidence to charge the men with seven burglaries - incidents where they allegedly entered an apartment and stole items. There are roughly 12 other incidents of trespassing - where the men allegedly entered an apartment without permission.